Bolivia's National Emblems. National Flower. Flag. National Anthem. Bolivia has numerous national emblems, all of them unusual and beautiful. 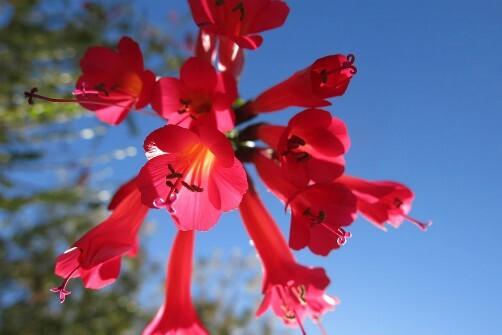 Interestingly, Bolivia has two national flowers. Even weirder is the fact that Bolivia is the only country in the world that now has two official flags! 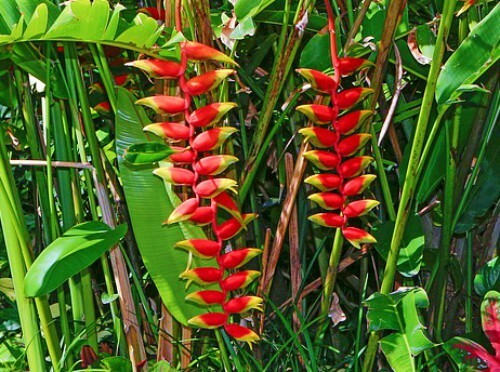 BOLIVIA HAS TWO NATIONAL FLOWERS: the Kantuta (Cantua buxifolia, above) and the Patujú (Heliconia rostrata, below). Click here to read the Legend of the Kantuta and click here to read about why these flowers were chosen to be Bolivia's two national flowers. 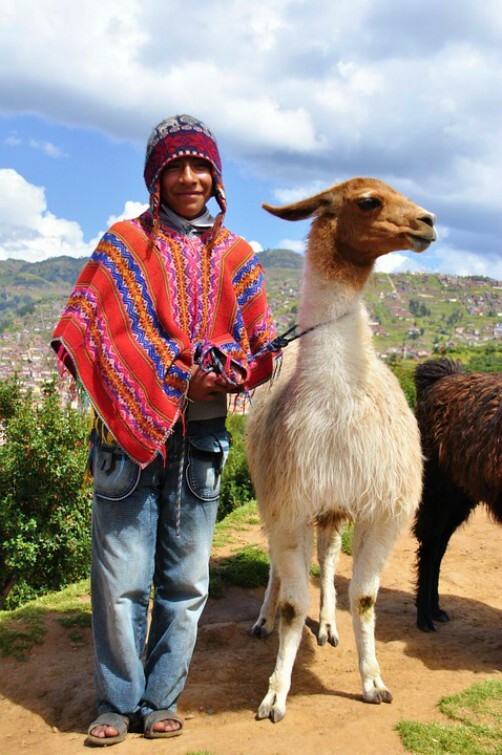 THE LLAMA IS BOLIVIA'S NATIONAL ANIMAL: The llama (pronounced "ya-ma" not "la-ma") has been bred and used as a pack animal by indigenous peoples of the Andes for thousands of years. It is related to the alpaca, the vicuña, and the guanaco. All are camelids. More about llamas. BOLIVIA'S NATIONAL MOTTO is "Morir antes que esclavos vivir". That means "We'd rather die than live as slaves". It's the last line of the chorus of the Bolivian National anthem. BOLIVIA HAS NOT NAMED A NATIONAL TREE. However, the tree pictured on the coat of arms of the Bolivian flag is the breadfruit tree. 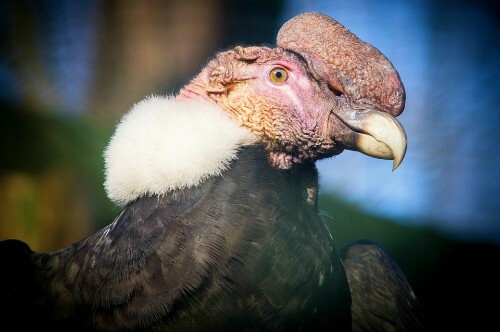 BOLIVIA'S NATIONAL BIRD IS THE ANDEAN CONDOR: The Andean Condor (Vultur gryphus) is a member of the vulture family. It's the largest flying bird in the world by combined weight and wingspan. This means there are a few other birds who have longer wingspans but are smaller or lighter birds. It's maximum wingspan is 10 feet. It's most distinguishing marking is the white ruff of feathers that it has around its neck. 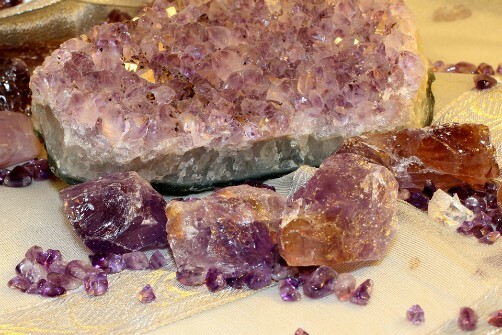 NATIONAL GEMSTONE OR MINERAL: Someone asked in our forums if Bolivia has a national gem or mineral. Not officially, but here's the answer to what Bolivia's national gem and mineral probably would be if Bolivia were ever to official name one. There's a beautiful legend about it too. TWO NATIONAL FLAGS: Bolivia's national flag has three equal-sized horizontal stripes that are red, yellow and green. 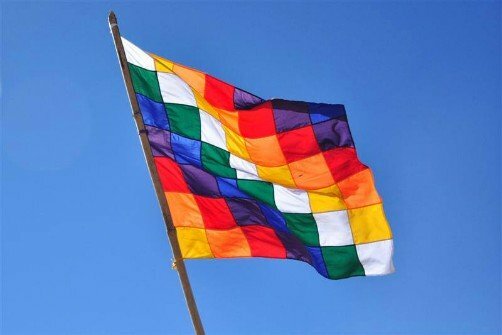 As of 2009 the government of Bolivia declared there will now be a second national flag and both must be flown together at all official functions! Read more about Bolivia's two national flags here. 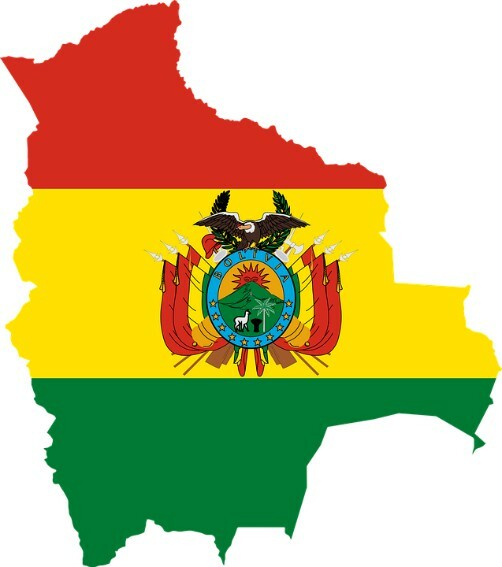 Each of Bolivia's 9 states also has its own. BOLIVIAN NATIONAL ANTHEM: You will find all of the words in Spanish and hear the music of the Bolivian national anthem on this page. It's pretty! TWO CAPITAL CITIES: Bolivia doesn't actually have 2 capital cities. Sucre (in the Department of Chuquisaca) is Bolivia's one and only constitutional capital and remains the seat of the Judicial Branch of government. La Paz (in the Department of La Paz) is the seat of the Executive and Administrative branches of government. That's why it is sometimes referred to as the "de facto" capital of Bolivia. For more information read our pages on the History of Bolivia and the Bolivian Government. That's why Bolivia usually has two "capital city" stars on its map. Click here to read more about why people think Bolivia has 2 capital cities. AND BOLIVIA HAS HOW MANY OFFICIAL LANGUAGES??! 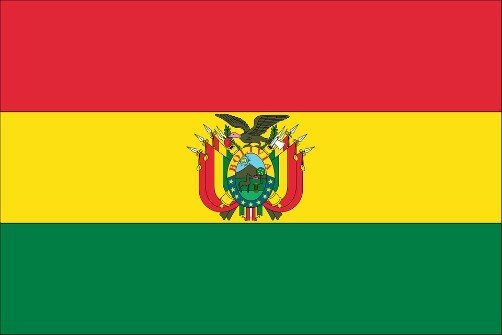 As of January 25, 2009 Bolivia has a new National Constitution which declared EVERY native language in Bolivia an OFFICIAL language. This means that Bolivia now has nearly thirty official languages. What on Earth!? Click here to read more about Bolivia's 36 native cultures.